This, my friends, is the picture of true love. I love the flowers and chocolate and romance that Valentine's Day brings (dinner by candlelight, make me swoon), but earlier this week Jacob showed me real love. 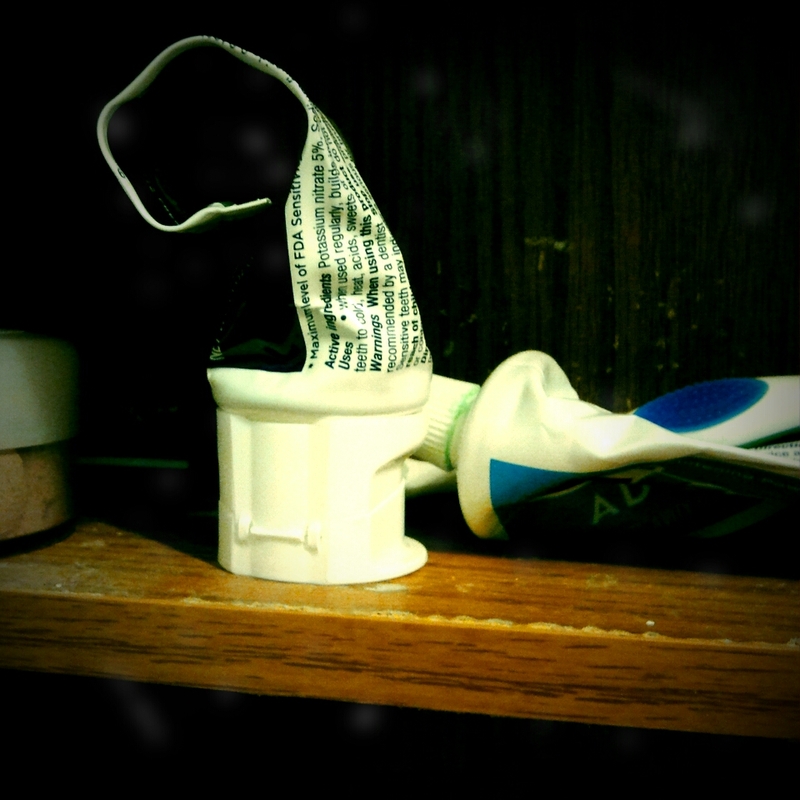 I squish the toothpaste from the middle. Always. 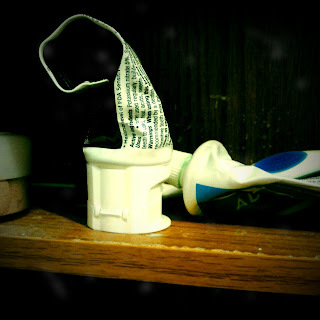 I came into the bathroom the other night to find my toothpaste like this, squeezed all to the top. He truly does love me.